Did you use dried? We’ve been on a lentil kick too. We typically use dried & soak over nite,it helps in digestion. My most fave is making it like this with a fried egg on top. Delish. 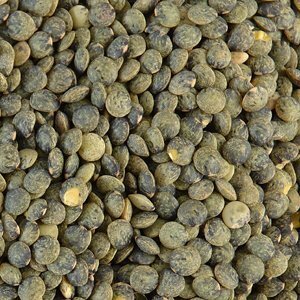 I do usually used the dried lentils.� Every so often I will pick up a bag of frozen from The Fresh Market.� Does the soaking cut down on cooking time at all? Now I’m definitely intrigued to try the lentils with a egg topper! You know, I really need to start incorporating those into my meals. My indian boss eats them every night at home! Also, I hope the paperwork is getting easier/and or is close to finish! I adore French Green lentils but can’t seem to embrace the other ones.� Does that make me a lentil snob? Probably! :p Or you just have good taste! Yum – almost spring here, so time to start thinking about cold lentil and herb salad…bon appetit! I just made these again last weekend and paired it with a gently fried egg. The yolk brought a luscious richness to the dish. I can’t wait to try it with some crispy skinned salmon.